Who will your team face on opening day? What will you be watching on Boxing Day? When is the first derby? 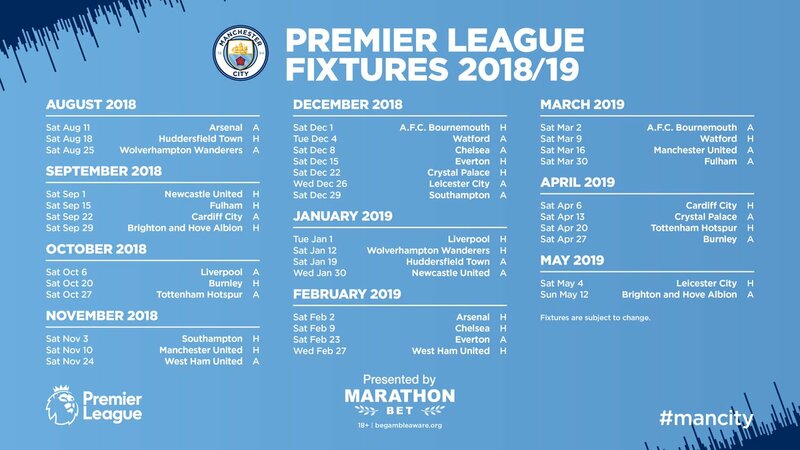 All these questions will be answered at 09:00 BST on Thursday, 14 June, when the 2018/19 Premier League fixtures are released. 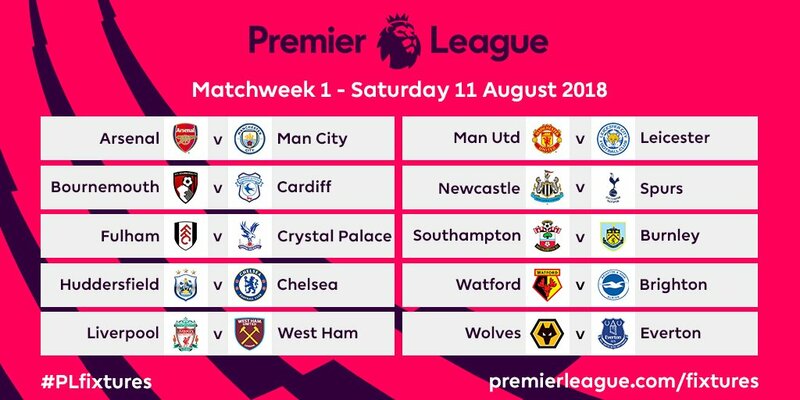 The dates for all 380 matches will published on premierleague.com so you can start to plan for the season ahead. Premierleague.com will bring you the key matches to look out for and reaction from the clubs. New Arsenal head coach Unai Emery will learn his first PL opponent as life after Arsene Wenger at Emirates Stadium begins on the weekend of 11 August. 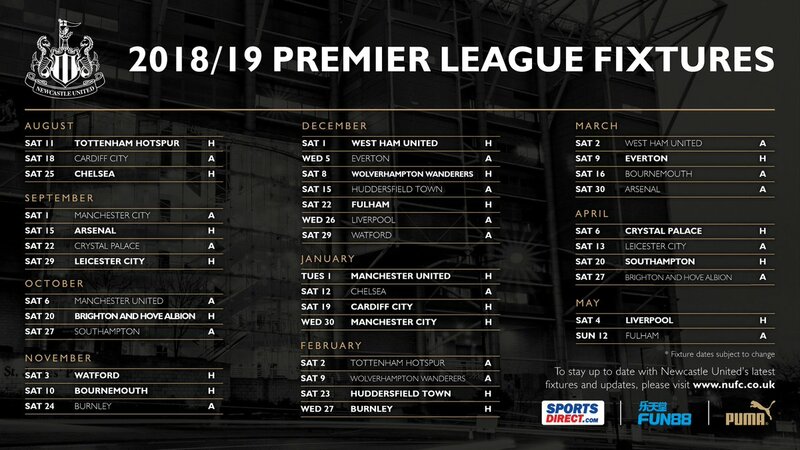 Supporters of the promoted clubs, Wolverhampton Wanderers, Cardiff City and Fulham, will find out where they will open their return. And who will have the daunting task of starting against last season’s runaway champions, Manchester City? 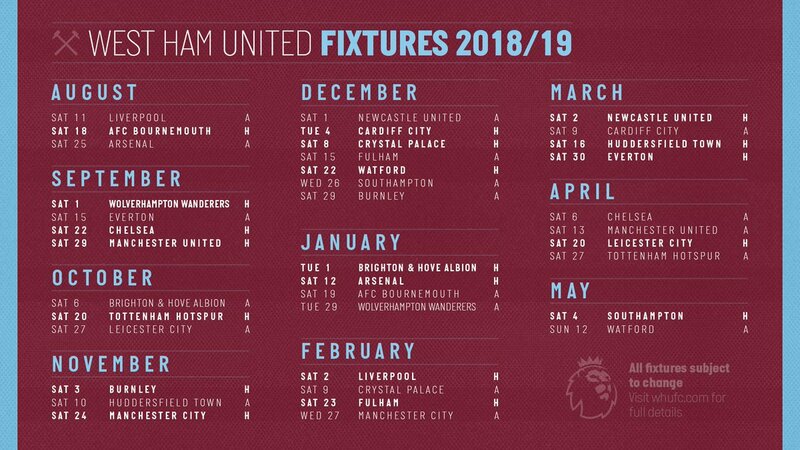 You can already set up your mobile device to download the digital calendar of the 2018/19 Premier League fixtures for when they come out. And of course, your planning for the new campaign will involve Fantasy Premier League. The Scout will give you a headstart on what to look out for before FPL returns in July: the players who can offer early returns, the popular picks with tough starts. Remember to set your alarms for 09:00 BST.